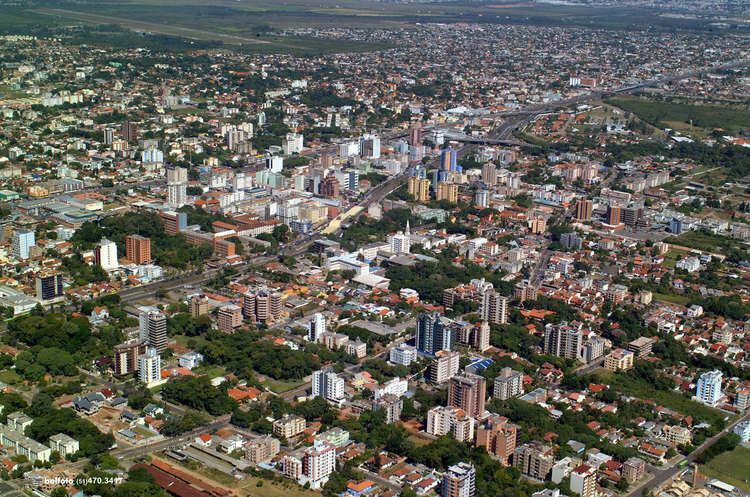 Canoas ([kaˈnoɐs]), which earned city status in 1939, is a municipality in the Brazilian state of Rio Grande do Sul. With more than 300,000 inhabitants, it is part of the Porto Alegre conurbation and has the second highest GDP in the state. It is also the fourth largest city in the state by population. Canoas boasts a strong manufacturing-based economy and is the home of the Canoas Air Force Base, used by the Brazilian Air Force. Canoas has one of the richest and most important universities in southern Brazil: the Ulbra (Lutheran University of Brazil), as well as UnilaSalle and Centro Universitário Ritter dos Reis. In sports, volleyball team Canoas Vôlei plays in the Brazilian Superliga de Vôlei, whereas football team Canoas Futebol Clube plays in the Campeonato Gaúcho.